Lovely warm jumpsuit for baby and toddler. Thick wool fleece - 100% merino. It is a little roomy for baselayer clothing underneath. Wool fleece is not windproof. Smallstuff uses only animal-friendly wool. Sooo soft! Cute hoodie with gnome-a-like hood (pointy ;) for baby and toddler. Thick wolf fleece - 100% merino wool. From size 56 to 98. Fits a bit large. Smallstuff uses only animal-friendly wool. AVAILABLE END OF NOVEMBER! 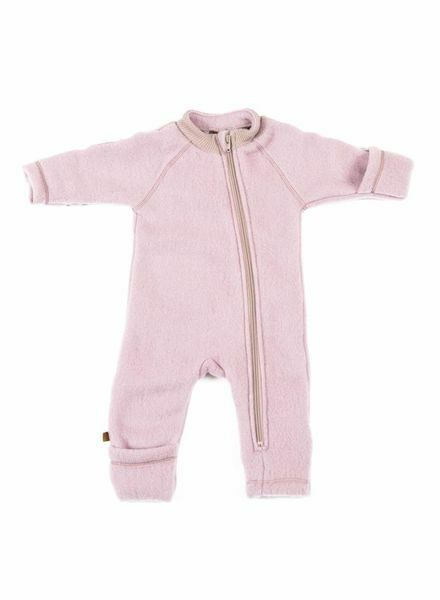 Lovely warm jumpsuit for baby and toddler. Thick wool fleece - 100% merino. It is a little roomy for baselayer clothing underneath. Wool fleece is not windproof. Smallstuff uses only animal-friendly wool. Sooo soft! Lovely baby v cardigan in thick wool fleece - 100% merino wool. From size 56 to toddler size 98 Fits a bit large. Smallstuff uses only animal-friendly wool.